Gaining and maintaining a presence in New York City is an aspiration for many business owners. The prestige that comes along with an address in New York City is substantial, but the value of an office space in America’s economic capital goes beyond just appearances. From a geographical standpoint, Manhattan executive office space puts you in an optimal location to hire from a highly talented and qualified group of job seekers, as well as develop business relationships with some of the nation’s most promising companies. Whether you’re an entrepreneur starting a new venture or an established company looking to grow your business, executive office space in NYC can provide the support you need to thrive. 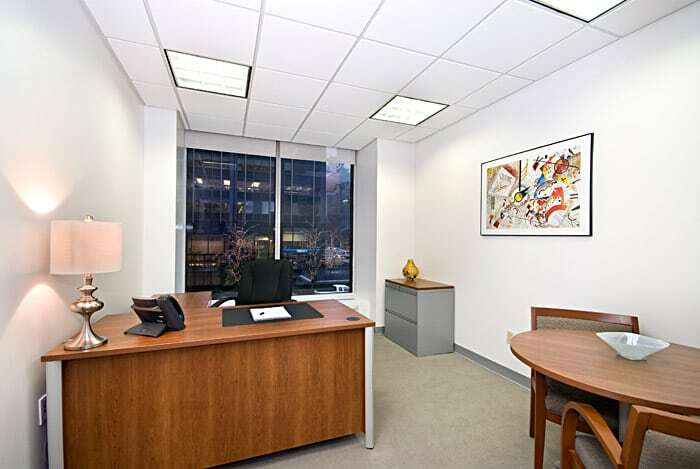 Conveniently, Manhattan executive office spaces are often available fully furnished and ready for use. Furnishings can include an executive-style desk and chair, storage cabinets, lighting and a small table for group meetings. Executive office space providers in NYC may also offer access to nearby conference rooms within the building where your executive office suite is located. This allows you to work in a space that provides economy for day-to-day operations, but also flexibility when you’re hosting meetings with clients or satellite employees. Amenities available in your Manhattan executive office space often include all of the considerations that you might naturally expect in a larger office environment. This includes access to high-speed internet, a live receptionist to field phone calls and receive visitors, IT support, virtual assistant service and more. And although executive office suites are built for privacy and security, they’re nonetheless suitable for supporting multiple employees – this can be achieved through the use of several desks within your office, a divider, or an open-plan that maximizes the effective use of the space. At NYC Office Suites, we specialize in executive office space solutions that deliver the ultimate in professionalism, flexibility and convenience. With four class A Manhattan locations in Midtown, we provide ready-to-use office space in the heart of the action. You’re looking to expand or establish a presence in Manhattan. Our modern, secure office suites and virtual offices allow you a fiscally viable and geographically enviable path toward these goals. We invite you to tour our galleries to see the full range of Manhattan executive office space options that we offer. To talk with a representative about your specific office space needs, call us at 1-800-346-3968 or contact us online.